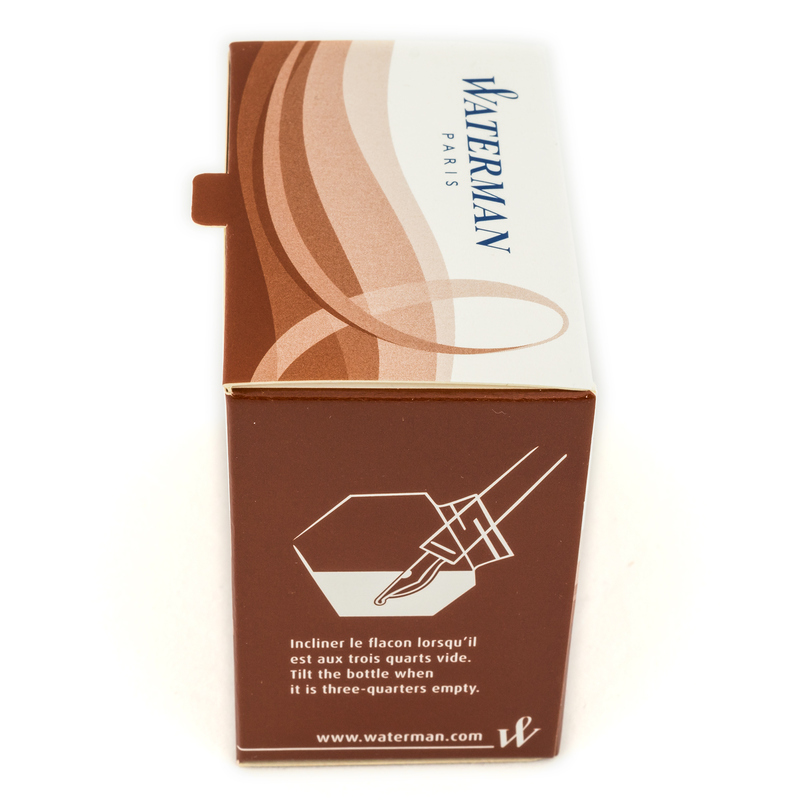 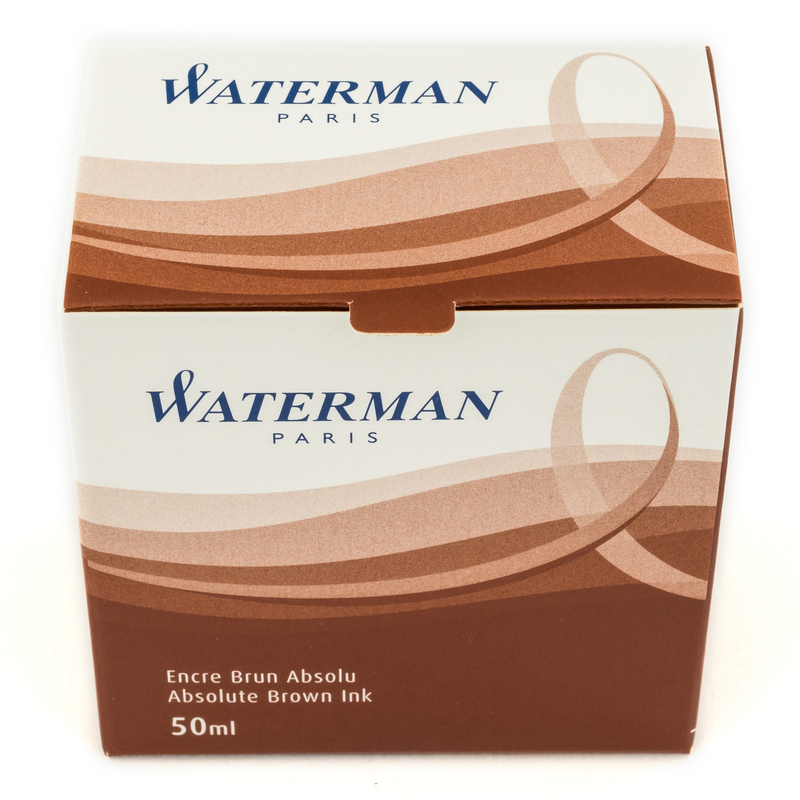 Waterman Absolute Brown is a free flowing medium brown ink for fountain pens. 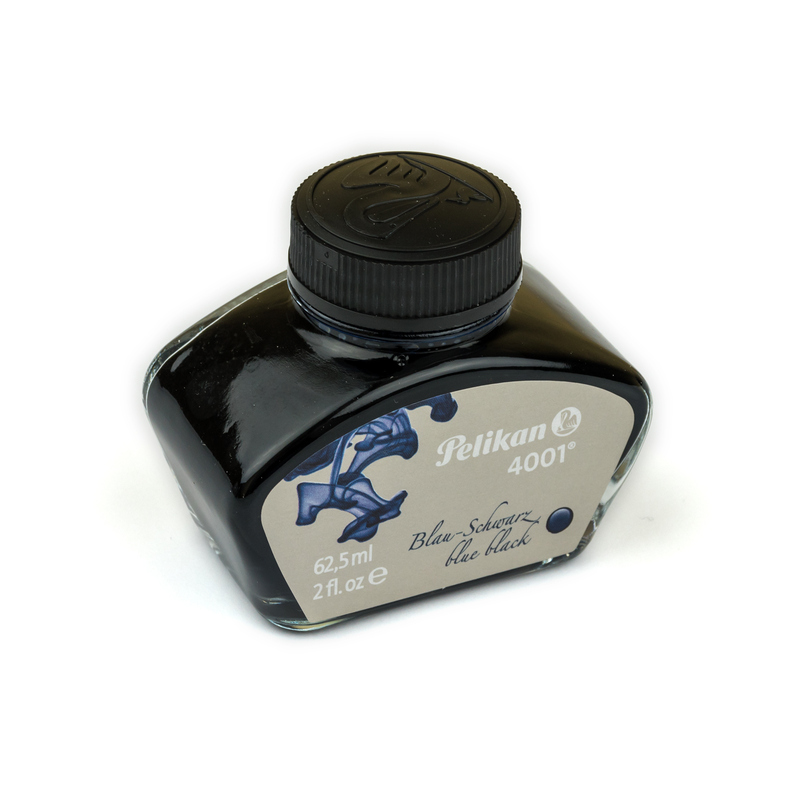 It provides a very smooth writing experience. 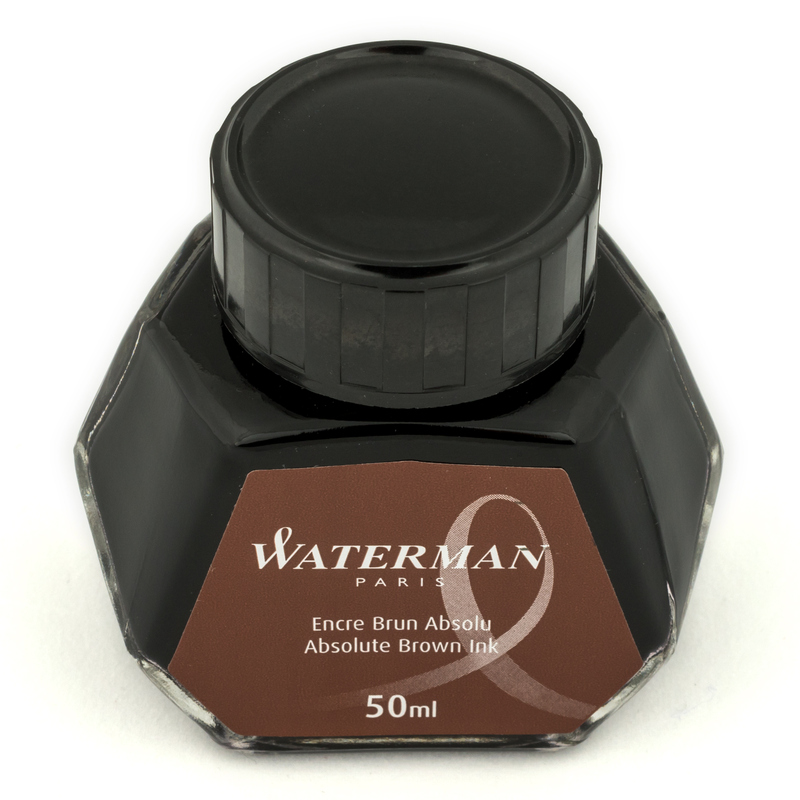 Waterman Absolute Brown comes in a sturdy and stable 50 ml glass bottle. 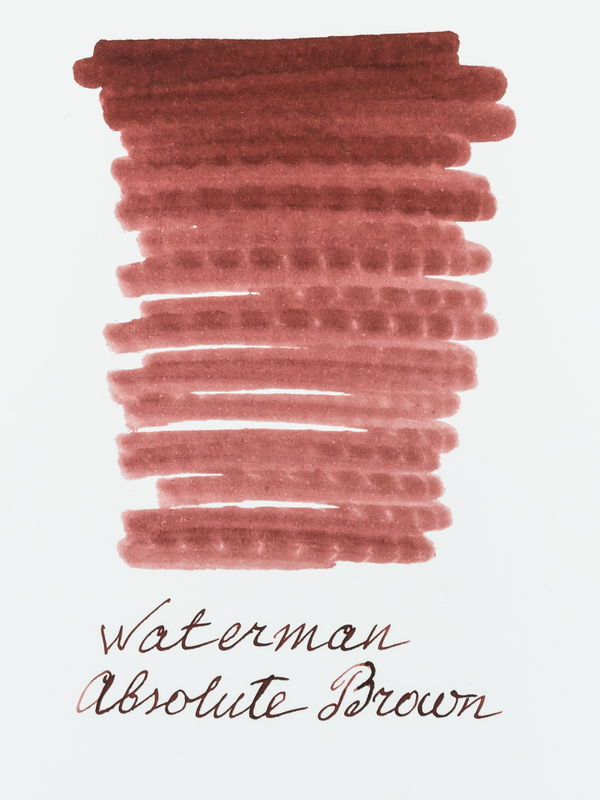 The bottle is faceted. 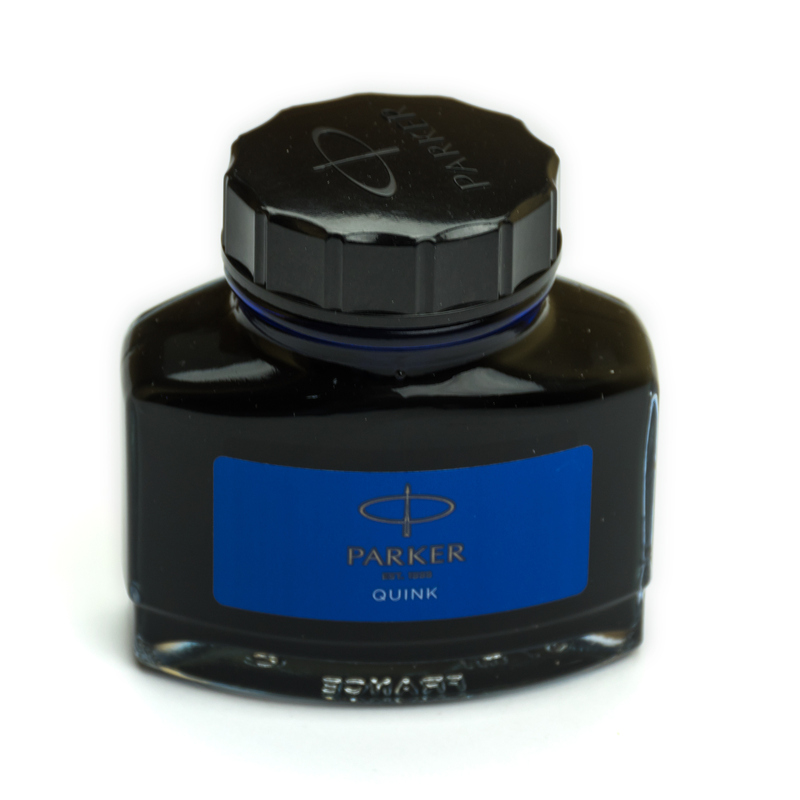 When it will become three-quarters empty, it could be put on one of its sides to help with filling the pen. 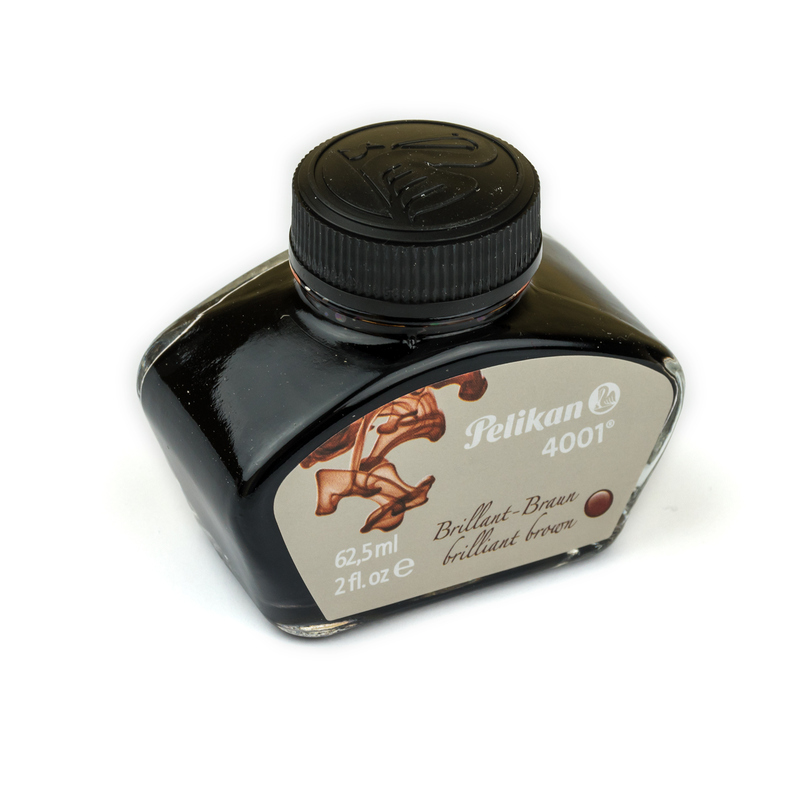 High-quality ink suitable for all fountain pens.